Jazz guitarist and educator Tom Dempsey leads a workshop in jazz improvisation focusing on techniques to improve your soloing skills to get you to play on the changes. In this workshop Tom will cover several common jazz chord progressions that apply to a wide variety of jazz tunes. Instead of matching scales with chords or progressions Tom will guide you in methods to begin to play on the changes more effectively and easily. Topics covered include chord tone isolation, building lines easily and effectively, using approach tones and neighbor tones, chromaticism, and superimposing related colors over progressions. All of these techniques are designed to help you develop your jazz sound and solo more effectively. 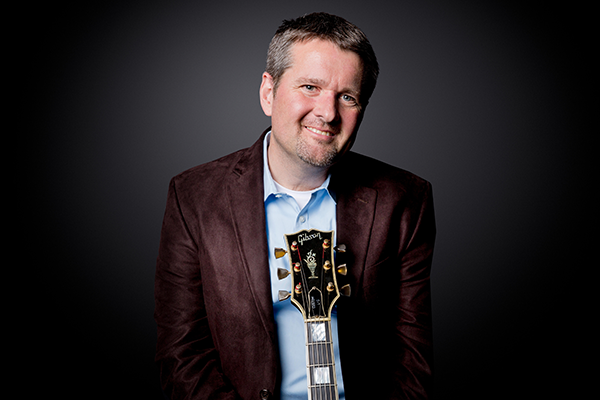 Guitarist Tom Dempsey’s reputation in the New York jazz scene for hard swinging sophistication and pure musicality have made him a distinct voice in the New York Jazz Scene. In recent years Tom has performed and/or recorded with a virtual "Who’s Who" of world renowned jazz musicians including: Wynton Marsalis, Paquito D’Rivera, Jim Hall, John Abercrombie, John Scofield, Tal Farlow, Buddy Montgomery, George Coleman, Kenny Barron, Roy Haynes, Jack McDuff, Bobby McFerrin, Gerald Wilson, Mel Torme, Richard Wyands, Muhal Richard Abrams, and Dave Brubeck. He has recorded seven CDs as a leader and recorded as a sideman on many more. Since 1992, Tom has been performing as a leader and a sideman at some of the top jazz venues throughout the world including the JVC Jazz Festival, Jazz at Lincoln Center, San Francisco Jazz Festival, The Blue Note, Yoshi’s, Smalls and Smoke. In 2012 Dempsey performed on behalf of the US State Department as a Music Ambassador throughout the country of Tunisia. Tom is author of many publications, including Alfred Music's Guitar 101 Book 1, Theory for the Contemporary Guitarist, Sight Reading for the Contemporary Guitarist, the Jazz Guitar Experience, and Easy Soloing for Jazz Guitar. Enroll to receive immediate, lifetime access to this 71-minute video-based course. This course was recorded January 2018 at the Lessonface studio in the West Village, NYC.